JACKSONVILLE, Fla. – In December, Jewish Home Lifecare partnered with Forcura LLC, the leader in post-acute document workflow. The affiliation allowed Jewish Home Lifecare Community Services Division to become a paperless company and further expand its client base from its already 2,300 patient census. Forcura is currently implemented within its Bronx and Manhattan, Home Care Programs and is expanding to its adult day care facilities and licensed home health agency (Home Assistance Personnel Inc). With Forcura, Jewish Home Lifecare Community Services division is able to track, in real time, pending documents from any of its offices.Forcura is a web-based platform that seamlessly integrates with any healthcare company’s existing software and allows them to send, track and receive documents electronically. By drastically reducing the time it takes to send orders and patient forms, the Forcura solution eliminates the manual processing of these documents thus improving patient care.“The Forcura solution is exactly what we have been looking for,” said Bridget Gallagher, Senior Vice President. Jewish Home Lifecare is a NYC-based, post-acute provider with over 160 years of experience serving the citizens of New York City. Its Manhattan location was recently awarded a three-year accreditation by The Joint Commission, recognizing its dedication to the Commission’s state of the art national standards for safe and high-quality care. Its services include rehabilitation, adult care programs as well as home care. According to Jewish Home Lifecare, Forcura has delivered exactly as promised. The benefits from the software are outstanding and include alleviating administrative costs and providing Jewish Home Lifecare with an easier way to communicate with partners and provider organizations. With more than 160 years of experience as a not-for-profit elder care system, Jewish Home Lifecare provides a broad spectrum of care and serves as a resource on concerns of aging for elders and caregivers. Its Research Institute on Aging works to expand knowledge of the aging experience and models of service, to contribute to the quality of care and quality of life afforded older adults and their families. May 9, 2012 – Jacksonville, Fla. The Pincomb Group, a leading business private equity and advisory firm is excited to announce its recent partnership with Multiverse Media Group, a cutting edge Video Production and Marketing Company located in Jacksonville, Florida. This strategic partnership between the two companies takes advantage of The Pincomb Group’s advisory and business strategy experience while leveraging the growing need for video marketing in today’s successful organizations. With over 40 years of combined industry experience the team at Multiverse Media Group has already made a name for themselves working for clients such as Disney, Johnson & Johnson, Cisco, Burton, and LG. “We love what we do and it shows,” stated Micha McLain, Founder, Multiverse Media Group. 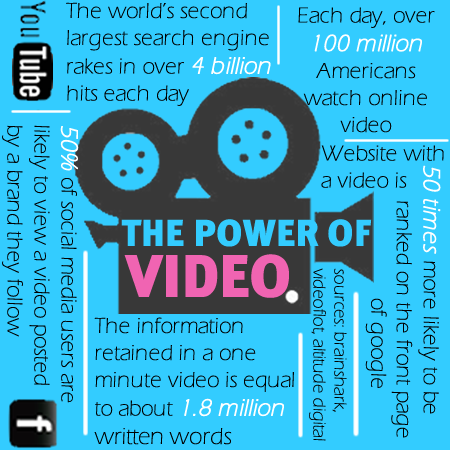 The use of video for marketing, product demonstration, introduction and even training has increased exponentially over the last few years and some of the statistics surround this growth are impressive. According to a report by PRWeb videos can increase the number of business profile clicks by more than 30%, website visits by 55% and incidence of purchase by 24%. Marketing executives are starting to take notice; an Adobe survey of almost 2,000 interactive marketers found that video and other multi-media product viewing options were rated more effective than any other site initiatives. At The Pincomb Group, our drive for innovation has allowed us to create something completely different, different from the consulting firm which points you in a direction and sends you on your way. Different from the traditional investment firm which shows up at the last minute to simply execute a transaction and different from the business expert who applies a cookie cutter formula based on theory. We believe CEOs and successful entrepreneurs need a partner who will take an unbiased, long term view of their business, working with them every step of the way. We believe experience and application are just as important as theory and best practices.